There has always been an important linguistic difference between the north and south of France. In 120 B.C. in the southeast of France (known as Gaul at the time), the Romans founded a province and all but replaced the extant Ligurians’ language with Vulgar Latin. * In contrast, the Gaulish (essentially several Celtic dialects) spoken in the north didn’t take a backseat to Latin until 58 B.C., when Julius Caesar conquered the north of Gaul. Thus Latin had some 60 years more influence on the south than the north. A further distinction between north and south was caused by the German Frankish invasion in the 400s A.D., which contributed some grammar, pronunciation, and vocabulary (including the terms “France” and “French”), as these influences were concentrated in the north. * It is essential to understand that it was Vulgar Latin (common or spoken Latin), rather than classical Latin, from which the French language evolved. In the 9th century, Charlemagne attempted to revive interest in and knowledge of Latin with a series of efforts known as la renaissance carolingienne. What he found was that the average person wasn’t even speaking Latin – the common language at this time had already evolved into what we call today Old French. In 842, the first French text, les Serments de Strasbourg, was written. Old French gave way to Middle French in the 14th century, and in 1539 François I proclaimed the Ordonnance de Villers-Cotterêts, which replaced Latin with French as the official administrative and judiciary language of France. By the 17th century, French, although still evolving, had matured into a language as dignified as Latin. Writers and grammarians worked to make the language consistent and comprehensible. 1606 saw the publication of the first French dictionary, Thresor de la langue francoyse, tant ancienne que moderne by Aimar de Ranconnet and Jean Nicot. Cardinal Richelieu founded l’Académie française in 1635, and the first Dictionnaire de l’Académie was published 59 years later. 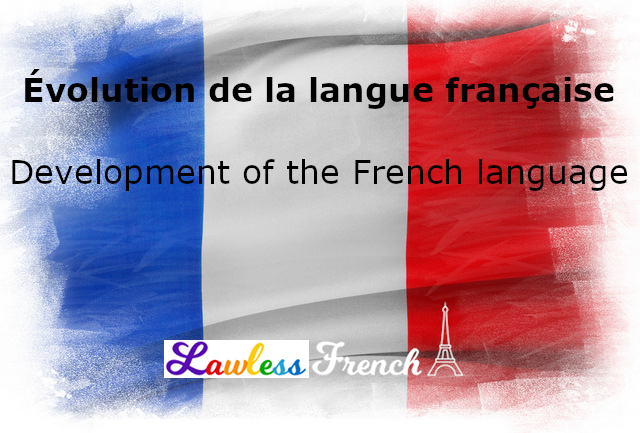 Since then, French has continued to grow and evolve. 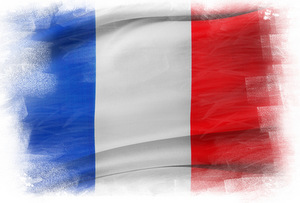 Immigrants from North Africa have contributed numerous words to French, and of course extensive borrowings from English have led to a mix of French and English, particularly among teenagers, known as franglais.